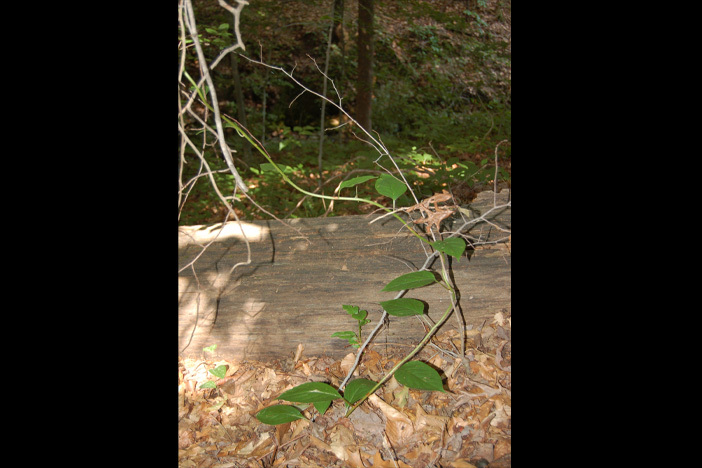 Once found throughout America's southeastern woodlands, Schisandra glabra, or starvine as it is commonly known, is now an unusual sight, classified as endangered or threatened across the region. Within a sun-dappled forest on the Emory campus, field biologist Carl Brown is engaged in an ecological scavenger hunt, searching for a plant so rare that its very future may be in question. Then it appears — the native starvine, a modest, green-leafed vine, both sturdy and elegant, that tenderly stretches in aerial ascent toward low-hanging tree branches. The sparse clusters of American starvine (also called "bay starvine") tumbling down a remote hillside represent a virtual refuge for the obscure plant — one of several protected locations Brown has mapped around campus where the species has a toehold. 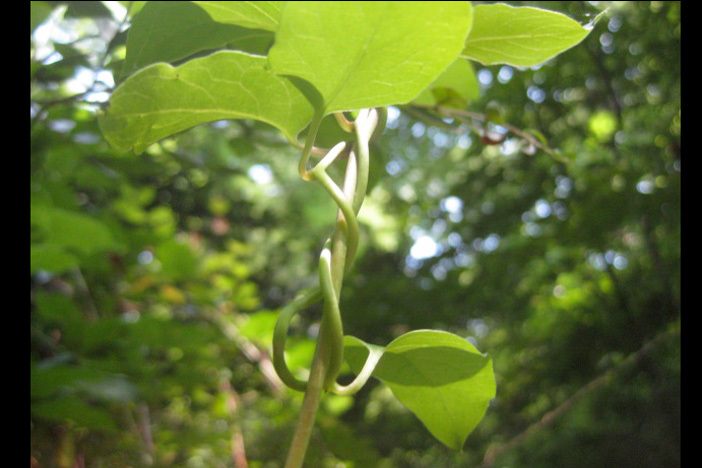 Studying the starvine's meandering course, Brown smiles: "This could be one of the best sites in existence — the center of American starvine in the world — here at Emory, in an old growth urban forest." 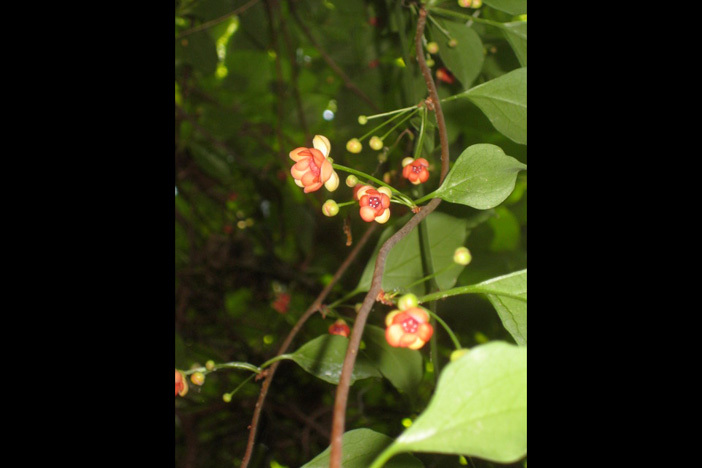 Once found throughout America's southeastern woodlands, Schisandra glabra is now an unusual sight, classified as endangered or threatened across the region. In Georgia it is found in only a dozen counties, mostly within the Atlanta metro region. Rarely studied, little is known about this ancient woody vine that may, in fact, harbor untapped medicinal potential. In China, its cousin is a popular medicinal agent. But an unusual alliance between Emory's Department of Environmental Studies and the Wesley Woods Hospital horticultural therapy program is giving new life to starvine, teaming to propagate, cultivate and study the elusive species. And if all goes well with the project, the partners may attempt to expand the presence of the vanishing plant into Emory's urban forest. Kirk Hines, horticultural therapist. Photo by Kimber Williams. Last fall, Brown, an adjunct instructor in environmental studies who regularly explores Emory's woodlands, and Kirk Hines, a certified horticultural therapist who founded and directs the horticultural therapy program at Wesley Woods, joined forces to help preserve the plant. With starvine runners gingerly collected by Brown, a group of about 20 patients in the Wesley Woods program rooted and potted a handful of new plant starts — a process beneficial for both participants and the campus ecology, Hines notes. Today, those starts are thriving; some plants are already over two feet tall and climbing. 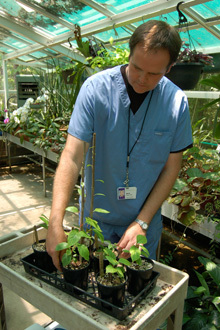 Standing near the Wesley Woods Hospital greenhouse, Hines inspects a glossy specimen, discussing the therapeutic rewards for patients: "We worked on everything from direction following to standing, range of motion and gross motor skills. You see [them] brighten, a bit more engagement — they don't feel quite so much like they're in a hospital. "And they loved taking part in that conservation effort, doing something meaningful," he adds. "It's work no one else was really doing, and now (the starvine) is rooted, and transplanted and growing." The result? New starvine starts with a survival rate of over 50 percent. "It's not bad, considering there isn't a lot of literature out there to lead the way," says Hines, who runs one of the state's only horticultural therapy programs. 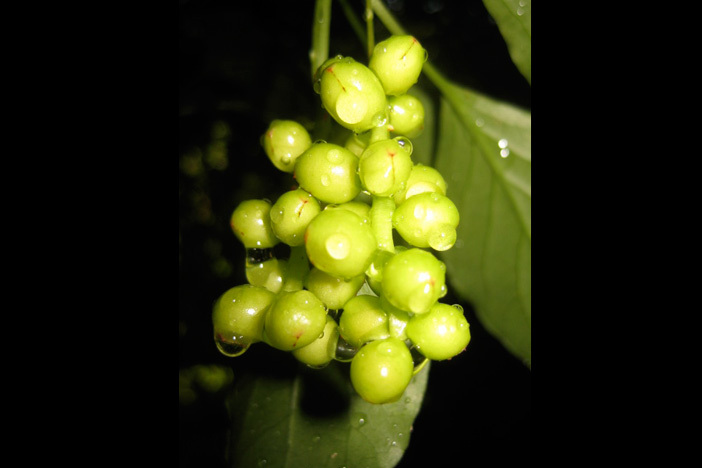 While East Asia is home to about 25 species of Schisandra, only one — Schisandra glabra — is native to North America. 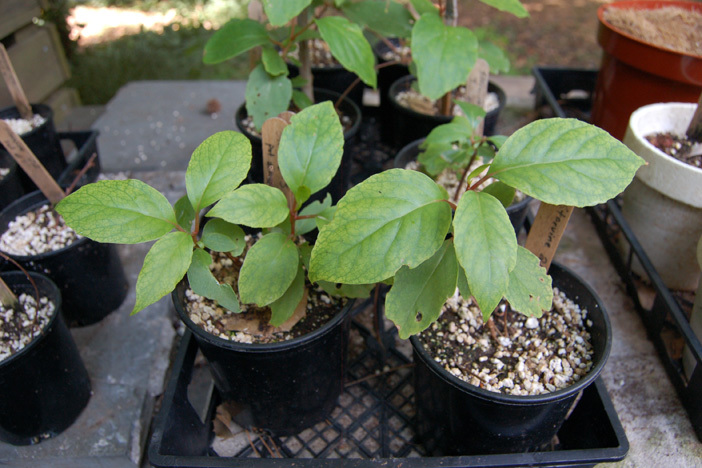 In China, the Asian version of the plant is considered a traditional medicinal staple on par with ginseng. Cultivated on plantations and found growing wild, it has been used as a tonic to promote overall health for thousands of years. Though little research suggests the woodlands Indians who once populated Druid Hills cultivated American starvine as a traditional medicinal agent, Brown believes it's very likely. 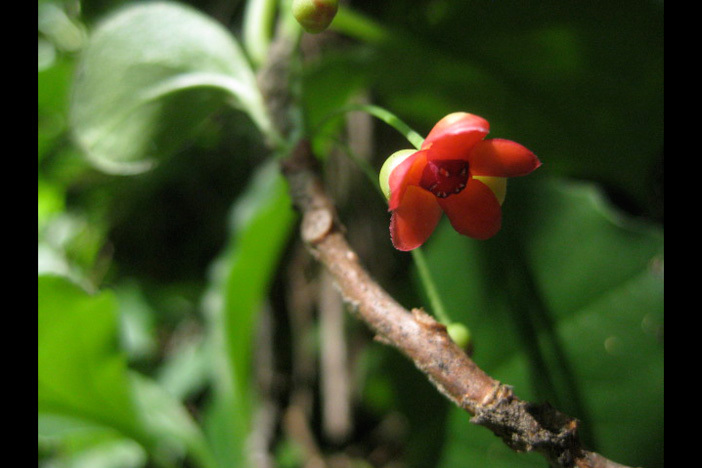 "The ethnobotany of the Piedmont is largely missing from Georgia and Alabama, because the Creek were at war with the U.S. when early botanists would have been coming through," Brown explains. When Brown began studying local starvine six years ago, he emailed botanists around the country seeking more information. He found little. 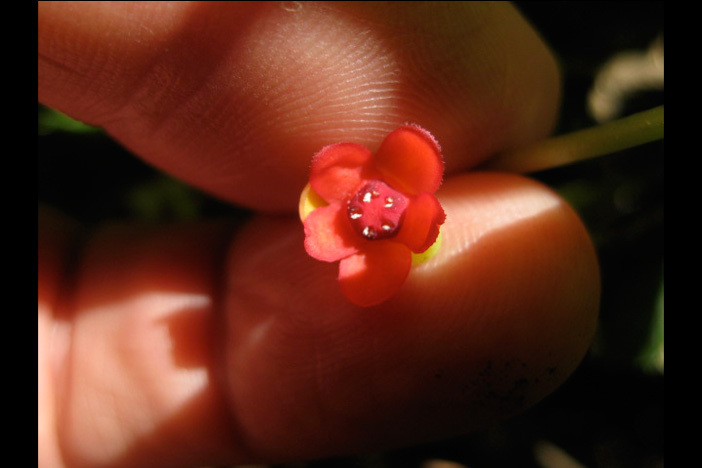 "They all wrote back within an hour because many hadn't seen it growing — very few ethnobotanists had ever seen it in the wild, with flowers and berries, due to its restricted habitat," he recalls. "It's true," concurs retired USDA botanist James Duke. "Though Schisandra is very well-researched in China, we Americans tend to study other people's plants more than we study our own." Three years ago, Duke, who runs the Green Farmacy Garden, a teaching garden featuring over 300 medicinal plants in Fulton, Md., asked if Brown could spare a few starvine samples, intent on planting the American species alongside its Chinese cousin. It is a species, he believes, that is ripe for further study. "I'm sure there are good-hearted people everywhere in the Southeast who would like to help out an endangered species, but that would be more likely if we could prove its medical potential," Duke asserts. "What knowledge we have, we can thank Carl for," he adds. For now, Emory's protected woodlands will continue to serve as a rare laboratory for the American starvine, a plant that has become a common campus placename, attached to a road, bridge and parking deck. Brown continues to monitor existing starvine patches, while tracking the ongoing cultivation being done by Hines and his patients, as they break new botanical ground with their plant starts. Hines hopes the relationship can expand, and is considering other native plants that patients can help propagate. In the project, he sees a holistic symmetry. "It's the knowledge that we've had native American tribes living right (along Clifton Road) who may have used this for healing, and knowing that now this is one of the chief medical corridors in the Southeast," Hines muses. "I think it just fits," he adds.